Scratch cards or scratchies are instant lottery type game available to play online or you can play offline at the store. These instant scratch and win lotto cards have lotto type games with either some images to match, numbers or to solve a quiz. All you need is to reveal one or more areas that are concealed by scratching it off and if you get the right answer you win. 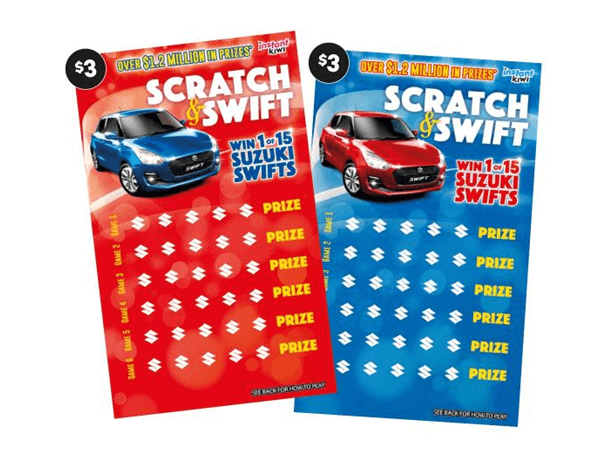 Scratch cards are a unique form of lottery where the prizes are all decided at the time that the cards are printed. However, great care is taken to use state of the art printing techniques to ensure that no one knows which cards will be winners until the player finds out his or herself. Scratch cards are “pooled” as they are printed to ensure a fairly even prize distribution in different areas, so that all the winning cards don’t end up at the same place. 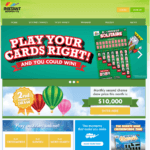 Instant Scratch-Its are lotto scratchies brought to you by The Lott Australia’s Official Lotteries to play scratch cards online as well as offline. There are many different tickets at various price points to cater for every type of player. The play instructions vary with each Instant Scratch-Its game. To find out how to play a specific ticket, you need to check the back of the ticket that you have purchased. $250,000 jackpot: costs $10 and offers the chance to win an enormous top prize instantly. 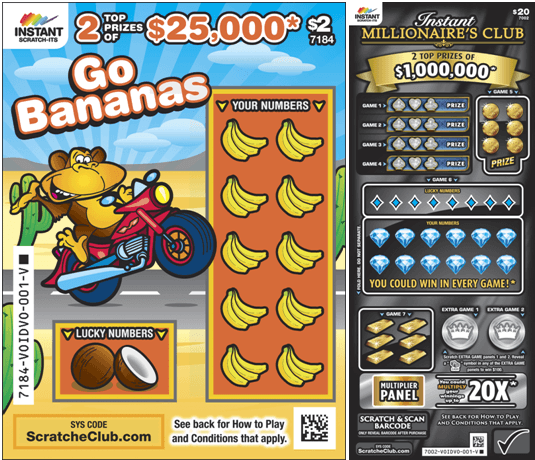 Instant Millionaire’s Club: Costs $20 with nine scratch card games to play with two Top Prizes of $1,000,000 to win. 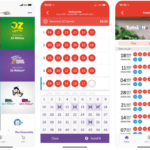 Remember lottery companies throughout Australia may share the same types of cards, but a ticket purchased in one state or territory may not be redeemable in another. 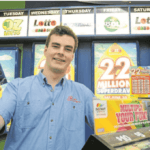 Instant Kiwi is popular scratch card lotto games played in New Zealand. Free as a Bird: This is the latest Crossword Scratchie which costs $3. You could win up to $40,000 instantly! Cash Spectacular: Try your luck on Instant Kiwi’s first ever Scratchie to offer 3 top prizes of $1 million! 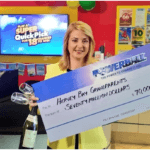 Costing NZ$15 this incredible new Scratchie also offers over $22 million in total prizes to be won. Island Life: Costs $10 where you relax and enjoy the Island Life! You could win up to $200,000 on this biggest crossword. The odds of winning a prize on Instant Scratch-Its are generally 1 in 4, however this doesn’t mean that if four tickets are purchased one has to be a winner. These are overall odds based on the total number of tickets available for sale in a game, not on an individual purchase. All prize amounts including the top prize are only available until won. This may occur prior to all tickets in a game being sold. 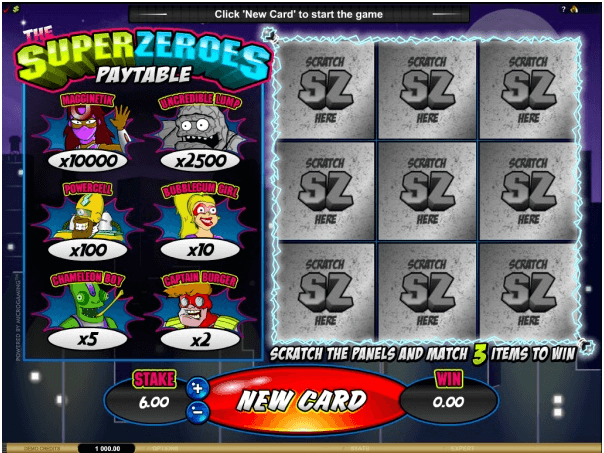 Available as physical cards or playable online as virtual games, the odds of winning on a scratch card can be as low as 1 in 2. The chances of winning a jackpot prize are less likely and more like 1 in a million for big wins. 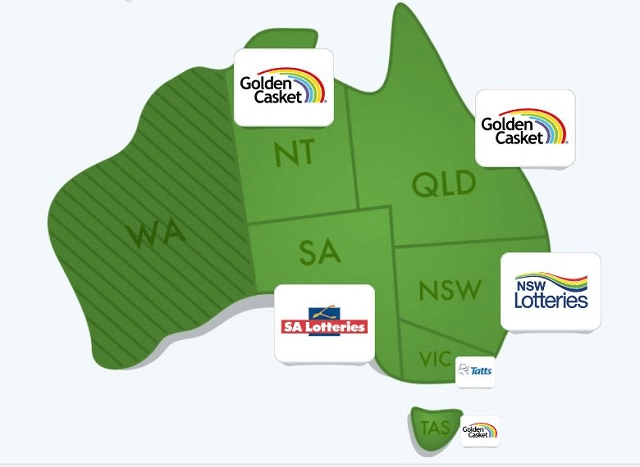 Every scratch card you buy is required by Australian law to clearly advertise the odds of a win and you can find further details on each operators’ website. How to play Scratch cards at online casinos? 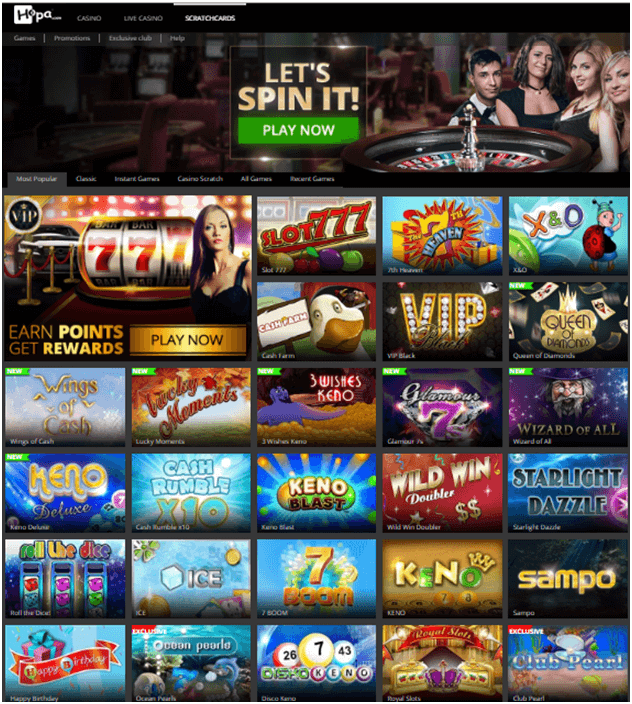 Online scratchies are just as easy to play as their real-world counterparts, and have gained in popularity to the point when most online casinos now feature them in one form or another. Obviously, there is no literal “scratching” involved, but when you play an online scratchie, you still reveal hidden portions of the card to reveal whether you are a winner or not. Unlike real-life scratchies, everything happens instantly and you can buy and play from reputable websites or online casinos that are friendly to Aussies and Kiwis. 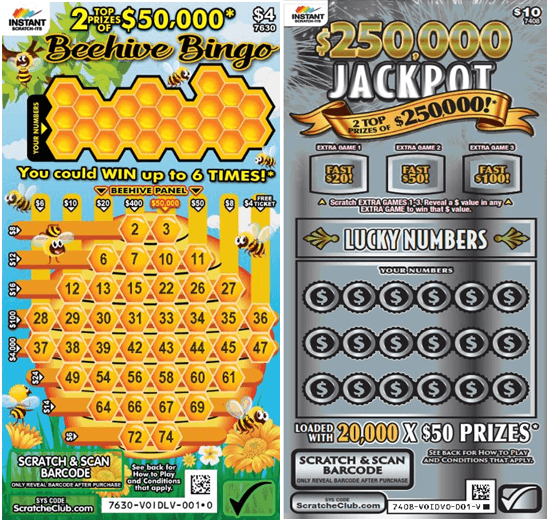 Just as with traditional scratch cards, online scratchies have a variety of denominations to choose from, but most scratchies tend to be priced fairly low and offer big top prizes with lots of smaller prizes that are awarded more frequently. Many different themes are available and some games offer fun graphics and sounds to make the experience even more enjoyable. These scratch card games are powered by top rated gaming software companies like Microgaming, Betsoft, Playtech, NetEnt and many others. All you need is to register on the website or online casino free. You can choose to play online instant version or to download the games on your PC, mobile or tablet. There are advantages of both. If this is your first time playing online I would test the Scratch games before depositing my money. As the games can be played first for free before you make a real money deposit in AUD, NZD or even with Bitcoins. Nine scratch panels are displayed. Behind the scratch panels are symbols. Any three matching multiplier values complete a winning combination. You scratch using your mouse. Only one winning combination is paid out per card. If there is more than one possible winning combination on a card, you are paid out the value of the highest combination only. You can only bet on one card at a time. If there is more than one possible winning combination on a card, you are paid out the value of the highest combination only. Winnings are calculated by multiplying the multiplier value won, by your total bet amount. The total number of credits won depends on the bet amount you select, multiplied by the multiplier value won. There are various Aussie as well as New Zealand friendly online casinos that offer you scratch card games to play and win. Aussie punters can enjoy at Rich Casino, Fair Go casino, 7 Reels Casino, Winward Casino, Hopa Casino, Emu Casino, Mucho Vegas, Planet OZ and others. New Zealand games can play at All Slots, Jackpot City, All Jackpots, Royal Vegas, Casino.com and others. 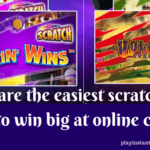 Now enjoy some of the best online Scratchies and see for yourself the thrill of playing and winning something big. Note that Scratch card game are games of chance and there is no skill or strategy involved to win the game. It is basically pure fun and entertainment and winning is your luck.